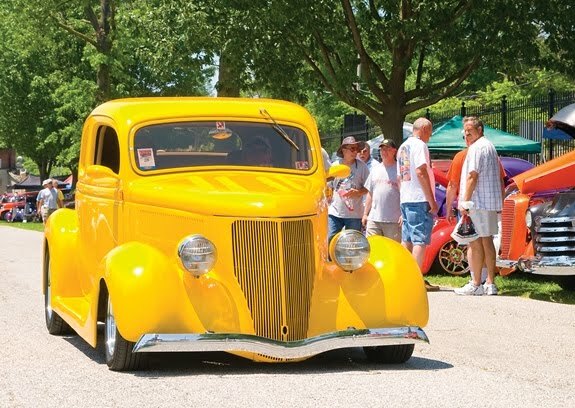 3,700+ Souped-up street rods will all be heading to York, PA for the 37th annual Street Rod Nationals. Contestants and visitors come from all across the US and Canada and will be convening at the York Expo Center on June 4-6, 2010. Street rods are modernized vintage vehicle that must be of pre-1980 manufacture. Many are highly customized including the latest accessories and sound systems. All vehicles must be licensed to drive on the streets and must be driven on to the grounds. Included in this event are muscle cars, those factory produced high horsepower machines from the 60’s and 70’s along with the classics cars of the 50’s. "The National Street Rod Association (NSRA) is thrilled to celebrate thirty years in York, PA. This year marks the first time the event will be open to vehicles manufactured prior to 1980," noted Jerry Kennedy, special event director for NSRA. "As an organization, we're excited to share our passion with a diverse group of enthusiasts. It's amazing to think you'll be able to see not only street rods but muscle cars, customs and specialty vehicles, all in one place."